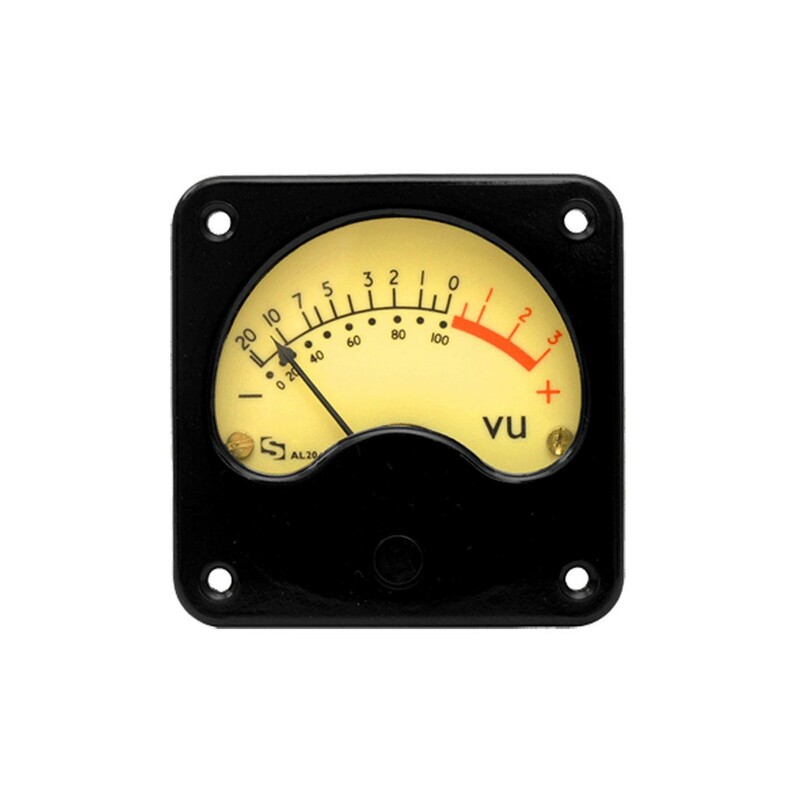 This square vintage style meter is constructed with gloss black phenolic plastic and a glass window . Suitable for rear panel clamp mounting with internal or external illumination options. Hoyt is an authorized distributor for Sifam VU in the United States. Black/Red on White A Scale; Black Lettering. Accuracy: A low range ac voltmeter offering a performance close to that of a full specification vu meter. 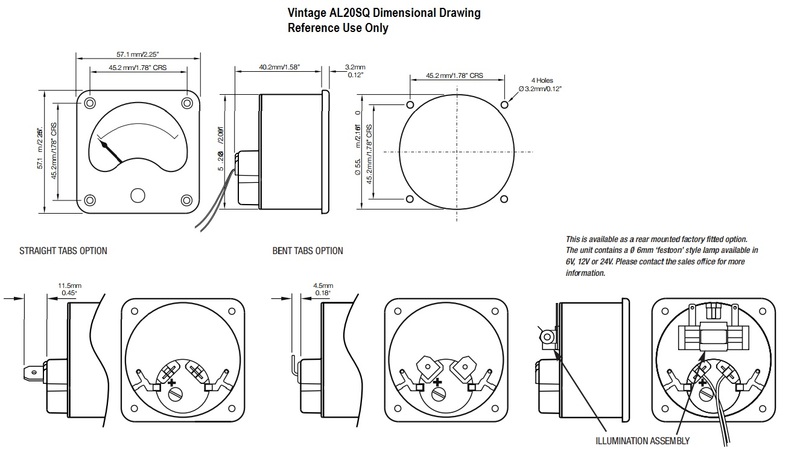 Suitable for connecting across a 600 ohm line and self-contained except for requiring an external 3k6 resistor. Calibrated for use with a 3k6 ohm resistor 4vu above the scale marking so that the reference deflection (0vu) is produced by a signal 4vu above 1mW in 600ohms (1.228V). A variation in over swing between 0 and 5% can occur since the damping is not individually adjusted on each AL meter but allowed to fall within normal process parameters.